Tabular iceberg in the Amundsen Sea. 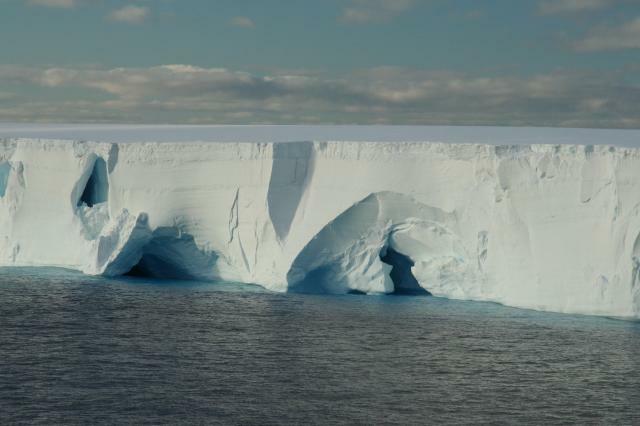 Large tabular icebergs are generated when large pieces are breaking off from an ice shelf. They can be 10s to several 1000 m in diameter and up to over 400 m thick. Only about 1/10th of the iceberg is visible above water 9/10 are below water.